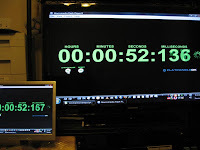 Input lag is something that many HDTV's have but isn't often covered in reviews. 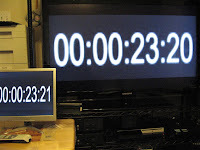 Basically, it's the amount of time it takes between receiving the video signal and the time it is displayed. 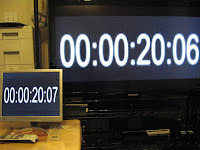 With all the fancy processing HDTV's do these days (deinterlacing, scaling, image enhancement, motion compensation, etc) it can take precious milliseconds before the image is displayed. 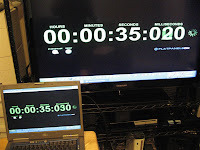 Normally this isn't such a big deal during normal viewing but for gamers it can be quite annoying especially if the game requires very quick and precise timing (think rhythm music games, fighting games, some sports games like golf, arcade style titles like Geometry Wars, active reload on gears of war, etc). Specifically, I was most interested on how to measure and test for input lag. 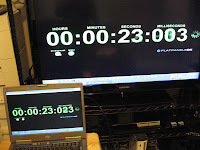 The idea is to playback a video with a 30fps timecode on a laptop. 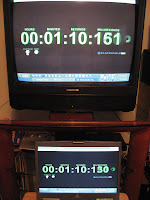 Connect the TV out on the laptop to a CRT first to get a baseline of how laggy the laptop monitor is compared to a CRT. We are assuming the CRT is 0ms lag. 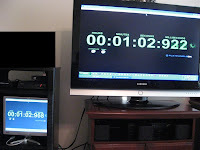 Then you just move the the laptop to the hdtv and run the tests again. 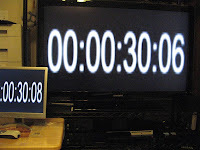 Each frame it lags behind equals 33ms (1/30). For each TV I took several shots (20+) using manual, no flash, iso 800, continuous shot mode. From there I sorted through them and looked for the best, average, and worst shots. I will also be testing regular picture mode and game mode where applicable. 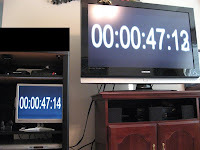 Game mode is usually a special mode on some HDTV's that is specifically designed to reduce input lag. The draw back of Game Mode is often you can't adjust any picture settings though I've read Sony lets you (and so does my Sharp). Another option is using VGA if possible which usually has less input lag. This is a worst case scenario test. The laptop desktop resolution was set to 800X600 but is outputting 480i over composite. 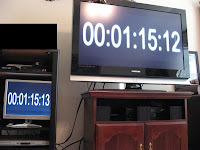 The TV has to do a lot of processing (analog to digital, deinterlace, scale, etc). Your modern day gaming console would probably be on HDMI outputting the native resolution of the TV. So when gaming on a pS3 or xbox 360 I would expect there to be less input lag than what these tests show. UPDATE: I decided to expand the number of tests. 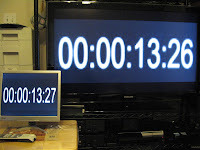 First, I've added another baseline: 14" MAG LCD monitor which I will compare against the CRT. Since every HDTV has an htpc already hooked up to it, I plan to move the 14" MAG around hooking it up to each htpc and compare against the hdtv so I can test HDMI. I'll be using 720p since the MAG's native resolution is only 1024X768(but it will take higher resolutions and scale them down). There's one problem with this. I'm not taking into account that scaling of 720p on the MAG since when I baselined it against the CRT I used the native resolution of 1024X768. So just keep that in mind. I'll also be using the Laptop to test VGA at 1024X768. 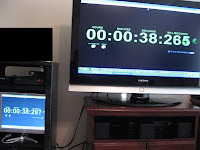 Finally I've added a millisecond stopwatch along with the 30 fps timecode video. Both have issues. Flash might not be the most accurate. Also, since pc video cards mostly output at 60hz, you are now way outputting or displaying every frame change on a millisecond stopwatch. Couple that with my old point and shoot canon sd700 camera with no way to adjust shutter speed (I did try the kids&pets mode) and poor lighting and you've got even more things to consider. So basically I'm not sure how precise or accurate the data is. I'll just present what I've collected, and let you be the judge. 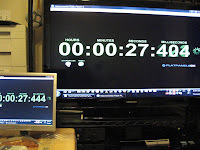 Baseline (Laptop/CRT, 480i, timecode video). It's my last CRT in the house. Hmmm....maybe I shouldn't be so quick on trying to get rid of it. 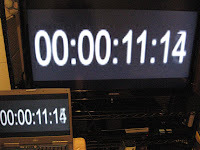 Here we can see the laptop LCD screen lags just a tiny bit. Lets say it's around 5ms. That means we must add 5ms to all the other tests. Looks nearly 0ms but lets just say 5ms to be on the conservative side. half a frame, maybe a bit less? Lets say 10ms since it does look more laggy than the laptop. looks nearly 0ms to me. I'll just use 10ms to keep it consistent. This is my newest TV which I just bought. I also tested HDMI2 renamed to PC in addition to Game Mode. Looks like just around 2 frames of lag so about 71ms lag (33 X 2 + 5). Looks like around 1.2 frames so about 45ms. I picked this up about a year ago. The nice part about this TV is it does allow full picture settings adjustments even in Game Mode. Maybe 2.75 frames so about 96ms. Looks like 1 frame to me so 38ms. This was my first HDTV which I got almost 3 yrs ago. It doesn't have a game mode but I read some places that if you rename the input to "GAME" it helps. I'm not so sure about that but I did name the input GAME before testing. Looks like around 1.8 frames so 64ms. 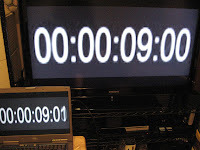 Times are listed in milliseconds. 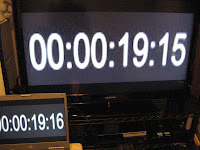 First value is computed using the timecode video / second value is computed using the millisecond stopwatch. 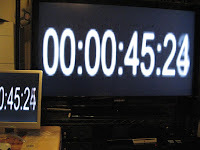 Baseline values are already included in the posted times. 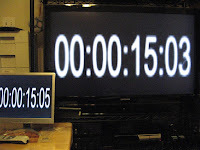 When I got my first HDTV I knew there was input lag. I could feel it especially in Geometry Wars. My friends thought I was a bit crazy but I knew the lag existed. Over time I got use to it so it didn't bother me as much. Still, it's nice to be able to measure it....sort of (there is still a good amount of assumptions/estimating going on). How sensitive you are to input lag really does depend on the person. Bottom line for me is for every day gaming even standard mode is fine. For more serious gaming (online, or going for a leader board high score) then Game Mode really does make a difference. - So I picked up a rock band 2 guitar for 360 and it has audio/video sensors to automatically calibrate for lag.